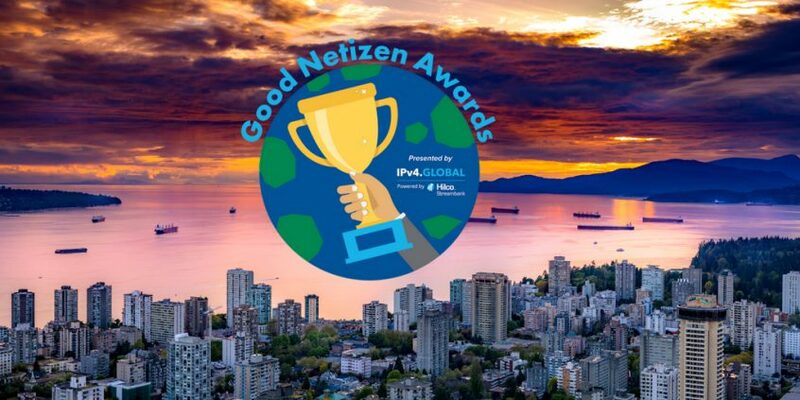 Finalists have been selected for the IPv4.Global Good Netizen Awards Vancouver, which will coincide with the Vancouver, B.C. meetings of NANOG 74 taking place October 1-3, and ARIN 42 taking place October 4-5. Award finalists include BC Technology for Learning Society, Free Geek Vancouver, First Nations Technology Council and The Society for Canadian Women in Science and Technology (SCWIST). The first and second place finishers will receive financial contributions from IPv4.Global in support of their continued efforts. Supporters can place their vote for a Vancouver Good Netizen. Voting will conclude on October 8 after the closing of NANOG 73 and ARIN 42. The IPv4.Global Good Netizen Awards were designed to recognize and celebrate local organizations that have demonstrated exceptional “netizenship” throughout their communities, including engaging in the promotion of internet access for all, supporting and funding internet and technology education, and contributing to open and ethical internet business practices. The winner will be chosen through online voting which opens on Thursday, September 27 and concludes on Monday, October 8. IPv4.Global will contribute one percent of its gross sales from its IPv4 online auction platform from October 15 through October 22, dividing the proceeds between the Good Netizen Award winner and runner-up proportionate to the number of votes each organization receives. Recognizes the importance of access to technology, the BC Technology Council collects donated computers and all types of other tech, trains and hires youth to refurbish the computers, and then distributes the computers to schools, nonprofits, libraries, First Nations groups, and students. Committed to strengthening local Indigenous economies and empowering Indigenous innovators, recognizing those factors as essential to self-determination and nationhood. To that end, the organization works to ensure that Indigenous peoples have full and equitable access to the tools, training and support needed to maximize the opportunities presented by technology and innovation. A nonprofit community organization that reduces the environmental impact of waste electronics by reusing and recycling donated technology. Through community engagement they provide education, job skills training, Internet access and free or low cost computers to the public. Acknowledges that outdated assumptions persist about women as leaders in STEM. SCWIST works to boost the numbers, retention and status of women in the workplace by facilitating networking, mentoring and advocating woman-friendly policies while raising awareness. SCWIST also highlights opportunities, achievements and positive messages for and about women in the field by raising public awareness and guiding policy implementation.